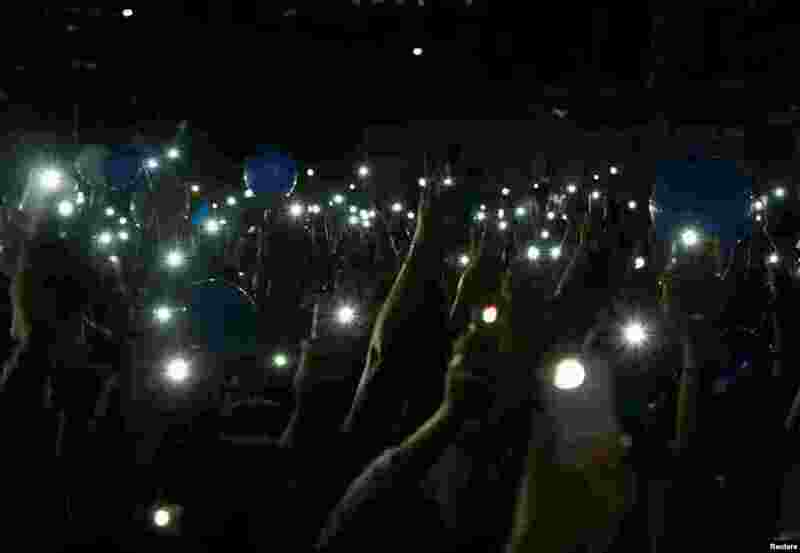 1 Supporters of Moon Jae-in, South Korean presidential candidate of the Democratic Party, light up with their mobile phones during his election campaign rally in Seoul. 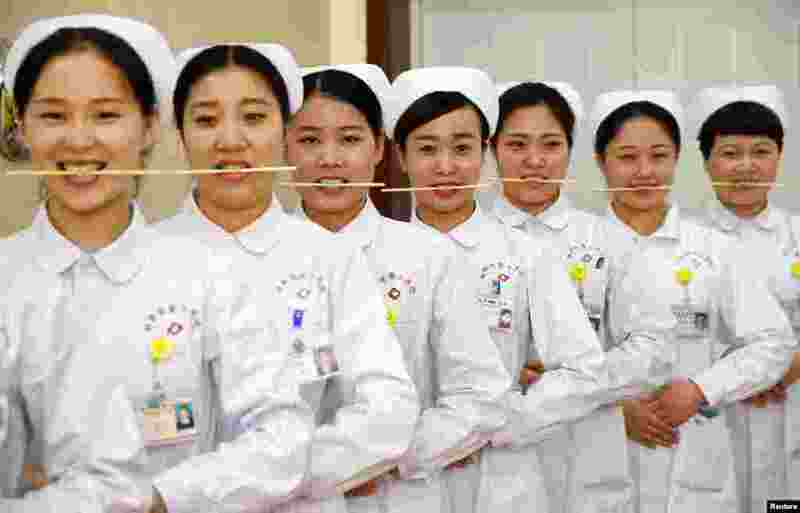 2 Nurses practice smiling with chopsticks in their mouths at a hospital in Handan, Hebei province, China. 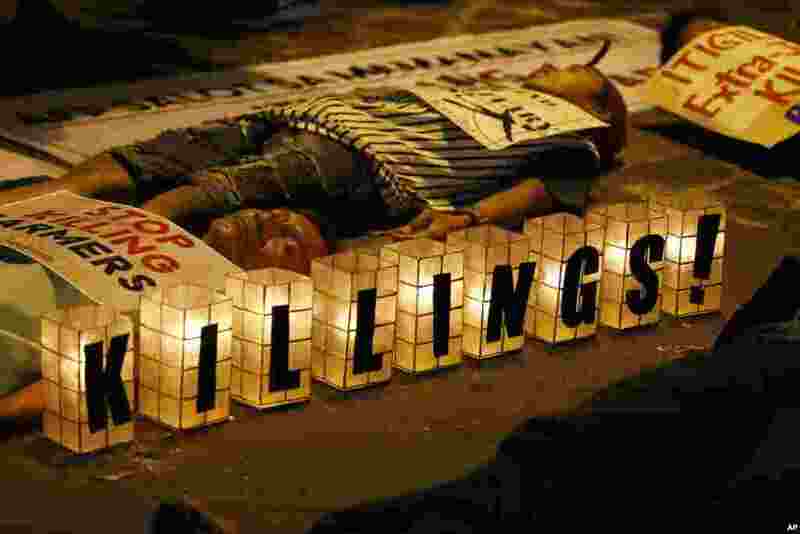 3 Protesters stage a die-in during a rally near the Presidential Palace to protest the "extrajudicial killings" under President Rodrigo Duterte's so-called war on drugs, in Manila, Philippines. 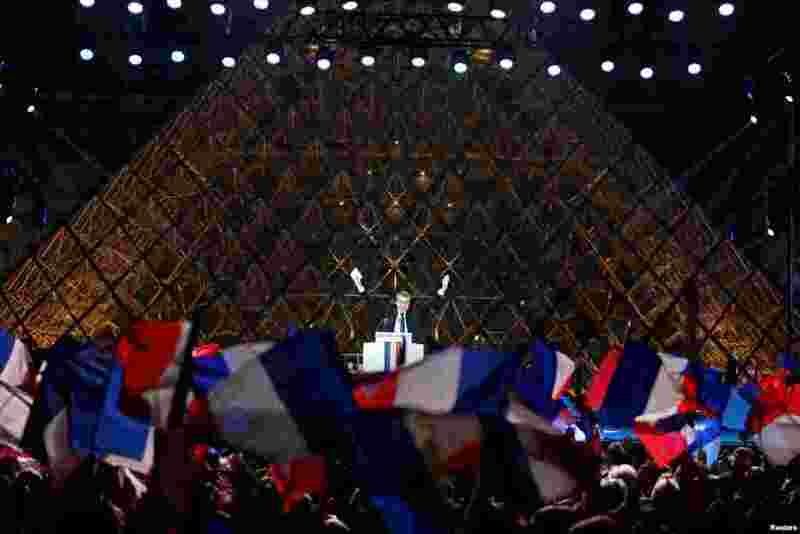 4 French President-elect Emmanuel Macron celebrates on the stage at his victory rally near the Louvre in Paris, May 7, 2017.